There’s been a lot of talk on Twitter recently, especially in the Smash community, regarding the role of sponsors/organizations. I feel like there needs to be a bit of clarity in the language of the discussion, so I wanted to create a resource to do just that. Quick background–I have experience from multiple sides on this issue. I worked as a team manager for a group of players seeking sponsorship, and helped successfully negotiate a contract with an organization for that team. I then helped negotiate their release from contract when that became necessary I have also worked as an employee for an LCS team, Team 8 as a salaried employee. I was a part of the staff Skype groups that discussed how revenue came in, what the organization valued, and what they expected from players. Essentially, I know a little bit about what I’m saying here. This word gets thrown around alot by smashers on twitter. Ally was just sponsored by Cloud9, Mr. R is still looking for a sponsor–the list goes on. However, I think this is one of the fundamental problems with the misunderstanding at play. Ally was not sponsored, he signed with an esports organization. This is a key distinction. Sponsors are companies that are essentially using a player or team as a marketing resource. The Pepsi logo on a NASCAR driver’s jersey, the All State logo on a field goal net–these are ways that sponsors interact with teams and players. They pay the team or player for the right to display their logo to capture a different demographic or expand their brain share in the population. Sponsors will have their athletes attend parties, utilize social media, and interact with fans at promotional events. The goal of all of this is to just get more eyeballs on their brand. With this definition of “sponsor” we are no longer talking about Cloud9, TSM, or Team Liquid. In esports, we’re instead talking about Razr, Logitech, and Nvidia–companies who can use esports athletes to increase their brand share amongst their target demographic. If Mr. R was truly looking for a sponsor, he’d actually just be trying to get Red Bull to write him a check to wear a Red Bull hat to every event. They would sign a contract where Mr. R would have to tweet about Red Bull, go to a few Red Bull fan events, and have the Red Bull logo on his gear. That is the extent of a sponsor relationship. Basketball players, tennis pros, and NASCAR drivers have lots of sponsors. Because of the mass appeal of their sport and their personal brand, they can demand the attention of companies all by themselves. Esports has not reached that point yet. Nairo does not have enough mass-market appeal to appear in an ad for Oreos. You or I might go buy some Nairo Oreos, but the average kid on YouTube has no idea who this handsome dude in the glasses is, or why he’s so excited about these Oreos. Smash 4 as a game does not yet have enough eyeballs for even the top competitors to be worth investing marketing dollars in by themselves–no esport does. This is where Organizations come in. 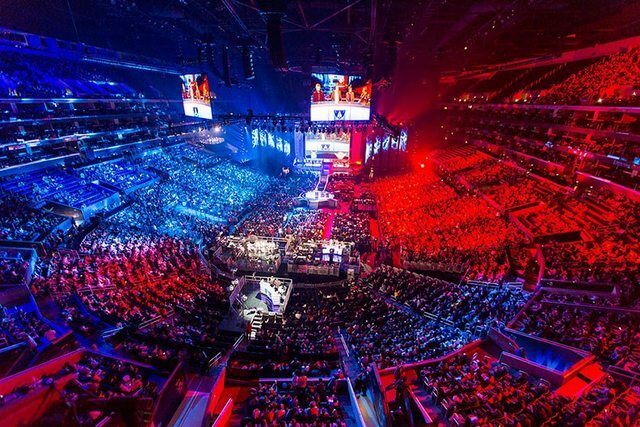 An esports organization is pulling in revenue and eyeballs from multiple sources every day. On Friday, people are seeing TSM play League of Legends. On Sunday, TSM is in winners finals of a Smash Major. Some day of the week their Vainglory team is playing. All throughout the week people are watching, discussing, and tweeting about TSM as a brand. While Zero by himself may not have an overwhelming number of eyes on him at any given moment, combined with the LoL, CS:GO, and Vainglory teams there is a ton of brand equity in sponsoring TSM. Logitech is willing to hand Reginald a big fat check because he has a large number of resources at his disposal that can promote Logitech. Bjergsen can stream while wearing Logitech headphones, Zero can be at the Logitech booth at PAX playing friendlies, the CS:GO team can do a video on Logitech’s YouTube. By being part of an organization, Zero’s value is multiplied because he is now a part of what attracts sponsors to a major esports brand. Esports orgs/teams are essentially the mechanism that connects players with sponsors that would otherwise ignore them. Partially my point is clarity. Let the teams go look for sponsors, and let esports athletes get signed by organizations. However, recognizing this distinction will be EXTREMELY useful to free agent players and teams. Remember, esports orgs make very little money from your prize purses. The reason they want you to win is because of the brand equity that winning brings. More fans will follow a player on Twitter that recently won a major. Top players get more air time on stream because they play in more matches. Your attractiveness to an organization is directly proportional to the number of eyeballs that you bring to the table. No organization is going to pay you a lot of money just because you’re very good at smash. They actually make very little money because you’re very good at smash–it’s how they can use your skills at smash to get more twitter followers and sign bigger sponsors. The good news here is for the players that don’t consistently win majors. If you can bring in eyeballs another way, you are still valuable to an organization. I would imagine Panda Global is pretty satisfied with their relationship with Esam despite his lack of major wins. He is very active on social media, has a strong Twitch following, and regularly produces YouTube content. Not only is he providing himself with additional income sources, but Panda Global can go to a sponsor and say “our Smash 4 players are high profile members of the community, just look at these Esam numbers!”. That is just as valuable to Nissan as if Esam won Evo. Remember this point when you enter into negotiations with a team. Take a look at the other players on their roster across every game. How do your Twitter followers, Twitch subscribers, and tournament record compare? This will show you how valuable you’ll be to that organization, and just how much power you have in the negotiation. At the end of the day, sponsors and orgs are businesses. Their goal is to make money. This doesn’t make them evil, it just means they have responsibilities to their employees and shareholders to continue making profitable investments. They are not a charity–you do not deserve to be sponsored, you have to earn your place with an organization by making them money. Ultimately, this setup is far better for the players for one simple reason–esports organizations actually want to win. Right now there is not enough money in esports for any of the major orgs to be in this solely for the money. Shaq and Rick Fox didn’t get into esports just to make a few more millions–they found another realm of competition that they wanted to dominate! Most organizations were founded either by former players, or fans of esports. They are willing to make some moves that sacrifice the biggest payout in order to support their players. I truly believe that NRG wants to help Nairo become the face of Smash 4. However, they wouldn’t have signed him if the move weren’t also going to be profitable. What you’ll read below is a blog that I wrote for a small esports fansite several years ago. The original is available here. It’s an opinion piece in response to another article that was written as a criticism of the League of Legends Championship Series format. While the examples and the discussion are from a slightly outdated version of the LCS, I wanted to upload it here for several reasons. Firstly, I am proud of it. I believe that it’s among the better writing I did in my early esports career, and I want to preserve it on a website I control in case Altgg ever shuts down. Second, I think the points are still relevant. As esports continue to grow, there is more and more discussion about what things “we don’t care about”. It doesn’t matter what happens in North America, because we’ll just get destroyed by Korea in international competition. It doesn’t matter what happened in a small amateur tournament because the viewership is low. No one cares about Heroes of the Storm because it can’t compete with DOTA and LoL in terms of viewership. The purpose of this article was to remind everyone about why we got into esports in the first place. I hope you still find some value in it several years later. Yesterday, Ongamers’ Thorin wrote a piece on the structure of the LCS split system. The point of the article was that, according to him and the pros he’s spoken with “nobody cares about the spring split”. You can read the original article here, but the basic structure is that because the summer split leads to worlds, the spring split is irrelevant and therefore, the LCS doesn’t work. For the casual fan, here’s a quick breakdown of the how the LCS season works. The season is divided between two 10-week long halves, called splits. 8 teams participate in each split with the top six advancing to a single-elimination tournament with a large cash prize for the champion of the split. The bottom two teams, and the team who loses out in the playoffs, each must play a best-of-five series against an amature team to keep their spot for the next split. The playoffs for the summer split determine which teams will be sent from each region to the World Championships, where the best team in the world will be crowned. First, let’s get the obvious fact out of the way. There is certainly more at stake in the summer split for LCS teams with their eyes on greatness. The Summoner’s Cup is the highest achievement any professional LoL player can obtain, and so certainly the split and playoffs that lead to Worlds carry much more importance. No one can dispute that. However, to say that the LCS system is fundamentally flawed because one split carries more meaning is a rather large leap to make. Thorin’s argument is that “no one cares”, so let’s focus first on the people who supposedly don’t care. According to Reginald, owner of Team Solo Mid, “Spring Split is a stepping stone. Its used as a practice round to get better by next split, to get into worlds.” This makes a lot of sense. The best teams in the LCS want to compete against the best teams across the world, and the only way to do that is to get into worlds. Therefore every game they play, VOD they watch, and solo queue game they stream is part of their overall preparation to get into worlds. However, there is one thing that puts the spring split above the normal practice regimen–pride. All athletes at the professional level believe that they can win every game they play, and want to win every game. Look at the reaction from TSM’s Xpecial after their loss at the hands of Team Coast this past week. The team is clearly disappointed that their winning streak has been shattered. Why would a team that “doesn’t care” show any emotion at all after a loss? The TSMs and Cloud 9s of the world have to answer to their twitter followers, facebook fans, and stream subscribers after every loss. Sure that loss didn’t affect TSM’s chances at getting into worlds, but they definitely cared about that match. Thorin’s argument for the bottom teams “not caring” about the spring split is that they aren’t punished hard enough for their poor performance. The sixth place team has too much of a fighting chance to advance, and teams seven and eight still just have to beat a bunch of amateurs to play in the next split. His comparison is that in the National Basketball Association, the eighth seeded playoff team has to play against the best team in their conference, and so their poor regular season performance matters much more than a sixth seeded LCS team. However, no NBA eighth seed is playing for the life of their entire organization. Relegation doesn’t just mean taking a split off. For many players it means the end of their dream. Returning to parents’ homes and school instead of earning a living as a professional athlete. Alternatively, the sixth place team could very well shine under pressure and upset the third place team, suddenly throwing their job security into question. What a fantastic story that makes for the fans. Was anyone complaining about the structure of last year’s spring split when Good Game University got hot and nearly won the whole thing? I for one was cheering them along, hoping they would go the distance. Counter Logic Gaming revamped their entire roster after their loss to GGU, so I’d say its a safe assumption that they cared about that loss. As for the bottom two teams, they don’t even get a shot at redeeming themselves. Their failure in the regular season means they are one series away from losing everything. 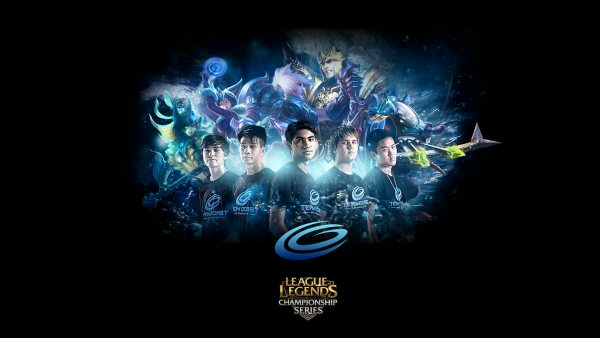 Thus far, many of the players that have been relegated are no longer playing League of Legends competitively. Relegation was not a vacation for them, is was the end of their career. While XDG are certainly still in contention, I would imagine that Mandatorycloud and Benny have spent a few sleepless nights wondering what the future holds for them if their team can’t turn it around. Sure all they have to do is beat an amature team. All Complexity had to do last spring was beat the team that became Cloud 9. Most likely the eighth place team this split will have to take on the Chinese powerhouse LMQ. I would wager squeaking into that seventh spot is a pretty high priority for XDG. The biggest issue with Thorin’s article is that it operates in a purely theoretical space. “A team like XDG can freely experiment with their roster,” he says, “since they know all they have to do is fix things in time to put together enough wins to steal that sixth spot.” Sure, all they have to do is climb out of the complete mess they’ve created, and hope that not only do two other teams lose most of their games, but that XDG can consistently beat those teams, as well as pulling off a few upsets along the way. Because of their losses early on, XDG are no longer in control of their own destiny. The idea that all they have to do is collect a few wins is fundamentally flawed. You cannot plan for a hot streak to just magically occur. Sure, a team can play weird compositions and jungle Soraka all they want if they can catch up at the end, but what if they drop a game? What if they need to “put together” six wins in a row, but they only come out with five? That team that supposedly “doesn’t care” would sure start caring in a hurry. When Did Paying Your Bills Become A Negative?Thorin’s next big argument is that teams don’t care about the spring split because they get paid even if they lose. Riot pays each LCS player a salary for the split, and so even if they lose every game, they can still pay their rent for the ten weeks of the season. Once again, a fair point in theory. However, TSM’s former AD Carry, Chaox, would take issue with it. Last season, when TSM started to struggle, they benched Chaox for WildTurtle. Once WildTurtle began performing well, Chaox was removed from the team and has not played professionally since. Even assuming every player gets their full salary whether they stay with a team for all ten weeks or not, that does not factor in any stipends received by the team’s organization, sponsorships, or streaming revenue. Had Complexity performed well last spring, Chuuper would likely have earned some supplemental income from streaming revenue and sponsorships. Instead, his dismal play landed him on the team’s bench, without any publicity or star cache to turn into revenue. When you’ve left home, dropped out of school, and have no other work experience, keeping your job can become a motivating factor pretty quick. Think of it this way–why would an NFL team even attempt to win games after they have lost their shot at the playoffs? The NFL draft awards the highest picks to the teams with the worst records, and so with nothing left to play for teams should be focused on scoring the highest picks they can. Even excluding the draft, the risk of injury is so high in football–why risk your star players in an irrelevant season? Because every single person, from the general manager to the head coach to the third string left tackle is playing for their job. The teams with the worst records are usually the teams that make the biggest number of changes in the offseason, and if the third string left tackle isn’t trying every single game, he will most likely be looking for a job at a car dealership in a few months. At least he got a full year’s salary–LCS professionals are only paid for 10 weeks. Their salary is not enough to support them for a full year if they lose their job. The top players are absolutely paid better than the bottom teams simply because they get to keep getting paid. Lastly, Thorin argues that the fans ultimately don’t care about the spring split. It’s easily forgettable, because we quickly move on to the next week’s games. Sure, but that’s how every single sport is across the world. During week four of the NBA season, does ESPN spend any air time on games that occurred in week 2? Is anyone still talking about games from last year’s NFL regular season? Is anyone even still talking about the Super Bowl? Even in the vastly more important summer split, will you sit with your friends during week five and chat for hours about How ROCCAT were playing three weeks ago? Spectators live in the moment. The jubilation of a win is completely replaced by the agony of a defeat. Rage at pathetic play can be instantly washed away by landing one flawless Nidalee spear or Thresh hook. As viewers, we vote with our clicks, and the numbers for this “irrelevant” split are in no way disappointing to Riot. Sure we care more when there is more at stake, but ultimately, we just want to watch great games. We want to see Nien fend off all of TSM by himself while minions win CLG the game. We can’t wait to see what crazy thing Darien will bring to the top lane this week. We hope and pray that Hai will bring out his Teemo again. We love this game, and that’s why we watch. Ultimately, Thorin’s argument holds no water for this reason–we are all watching the spring split. We are discussing every match on Reddit, we are following the madness that is XDG every day. We are quickly minimizing stream windows at work, and calling our friends on the way home for updates. We are criticizing Wickd’s Malphite build, and arguing about whether we are too critical. We care. Riot cares. These professional players who wake up every day getting to live a dream they never thought possible? They care. The spring split may be a stepping stone, but if you don’t care about that first step, you’ll never reach the other side.